Check out my latest feature with MotherMag.com, a magazine I absolutely adore and have been a fan of since they started! 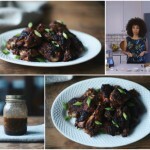 I share my homemade Jerk Chicken with Jerk Sauce recipe along with 8 other wonderful food bloggers! 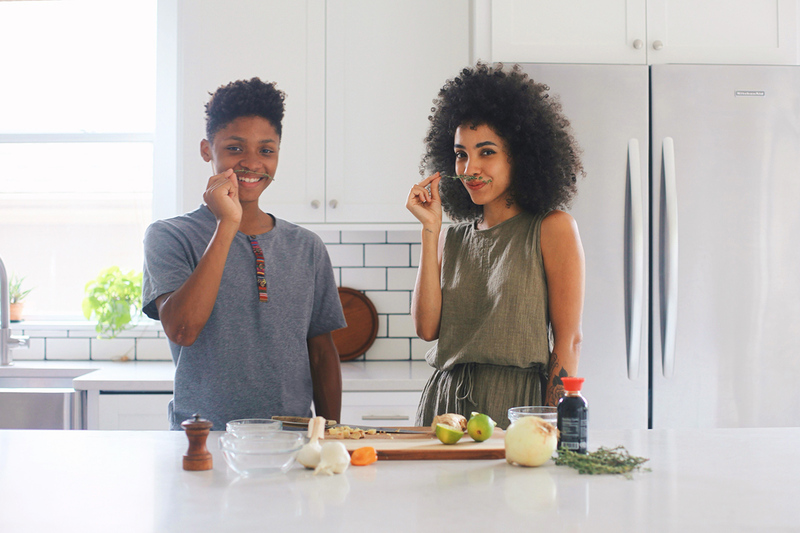 Here is a photo of my son Jaden and I working it out in the kitchen with our thyme mustaches! Food bloggers have a way of making cooking beautiful dishes look easy, don’t you think? But then you snap back to reality and say to yourself, “I have kids, so it can’t be that easy.” Well, we’ve gone ahead and combined the two worlds (food blogging and motherhood) to bring you nine women who are making magic in the kitchen for their families. This hopefully brings a little realism along with a heavy dose of inspiration, by showing you that yes, as mothers, preparing and presenting awesome dishes can be a part of daily life. Take a look at our slideshow below as some of our favorite food blogging mamas share their go-to family recipes that are equally delicious, practical, and totally doable for those of us who aren’t so kitchen-saavy. 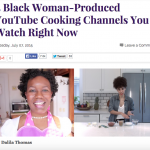 And don’t forget to visit (and bookmark) each of their amazing blogs for more cooking tips, tricks, and inspiration! nice one! Where is your amazing dress from? Thank you so much @disqus_FcZNdSEiIL:disqus ! It’s actually a jumpsuit I bought from Zara.